AD: The Bible Continues. Roma Downey Continues to Rewrite Scripture. One of the things I dislike about modern film is when the directors and writers attempt to apply modern moral stands and issues to situations in the past. Placing actors of different races into parts that render the whole historically inaccurate. Such as hiring a Chinese actor to play Abraham Lincoln, or hiring a black man to portray a county sheriff in 1920’s Mississippi. It’s not wrong, but it definitely distracts from the story. But no greater example can be found than the dramatization and twisting of Scripture as done by Roma Downey and her husband Mark Burnett. First they started with “The Bible” (which I have reviewed) in which they cast a black actor to portray Samson when Samson was clearly Israeli. And then they made “The Son of God”, which I declined to watch because it was simply an extension of the miniseries, which I already knew was twisted. But now they have created another miniseries, so I felt compelled to watch in order to see if their inaccuracies continued. Short version: Yes, they do. First we see Caiaphas talking with Annas and Joseph of Arimathea. But who is this woman who argues with the Jewish rulers? it is the high priest’s wife. Would a Jewish woman treat other men in that fashion? Especially powerful men? I think not. And yet the creators of this series have decided that feminist ideology is more important than an accurate portrayal of first century life. What was the crucifixion like? God states in the Bible that The sky was dark from noon to 3pm, at which time Jesus cried “My God, My God, why have You forsaken me?” Then Christ died, there was an earthquake, several people rose from the dead, the veil of the temple ripped from top to bottom, and the sun came back. In contrast to this, Roma Downey shows no darkness. There was an earthquake, but other than that, the crucifixion appeared just as any other crucifixion, except there was a storm immediately after Jesus died. Oh, and the veil ripping appeared to simply be part of the earthquake. No discussion of what the crucifixion means for mankind. Caiaphas directs the Roman soldiers to destroy the cross. Doubtful that a Roman soldier would take orders from a Jewish religious leader. The group of 11 disciples turns into two women plus four men. I wonder where the other 7 disciples are. Oh. They’re running around Jerusalem trying to murder Roman soldiers and taking other Jewish people hostage. Not biblical. There’s another scene with the four disciples. Yes, the black guy is supposed to be John. So yes, another case of historical inaccuracy by casting a non-Jewish looking man in a major part. The Apostle John was a Jew, not a black man. I read that African American Christians were upset because all the characters in “The Bible” seemed to be white Europeans, and there were no black actors cast in big roles. They say that the disciples were not white europeans. I would wholeheartedly agree and state that neither were they black africans. They were Jewish, and they should look Jewish. Not white. Not black. Also, it seemed slightly pandering that the black actors playing Mary Magdelene and John never doubted the resurrection, but kept admonishing their lighter skinned cast-mates to believe. And if you’re going to be so multiethnic that you throw in impossible combinations (like a black Apostle John), then why does Jesus still look English? Why couldn’t you have made him look more Jewish? He probably looked more like this guy. The resurrection scene ends the episode with an angel coming from heaven to roll the stone away. The soldiers did not become “as dead men.” they just stood there watching. Also, I found it interesting that Roma Downey chose to portray the angel as traveling on a comet or some such, when angels can appear instantly (see: the Bible). And there was no mention of Caiaphas paying off the soldiers and telling them to lie (a laughable story, as Roman soldiers would be killed if caught sleeping on duty). The gospel isn’t about advancing women’s rights or fighting for the freedom of slaves. It’s about making freedom from sin and its consequences available to all men and women who need only trust in Christ and His death and resurrection to be applied to their account. In leaving out the actual good news, Roma Downey preaches a false gospel. Hers is the gospel heard in countless episodes of “Touched by an Angel”, namely that God loves everybody, and just wants people to accept His love and be nice to each other. 3 Responses to AD: The Bible Continues. Roma Downey Continues to Rewrite Scripture. Well actually the “real Jews were black.” But you would know that if you actually read the bible in depth, The bible is based in Africa, since when did Africa have other races during that time period, except for the Romans. The Jewish people of today are not the Jewish people of the bible they are converts at least 86 percent of them are. The true Hebrews are black people. Why do you think they had Jesus hide in Egypt? If he was white or light skin he would have stuck out like a sore thumb. Instead, he blended in well with them. 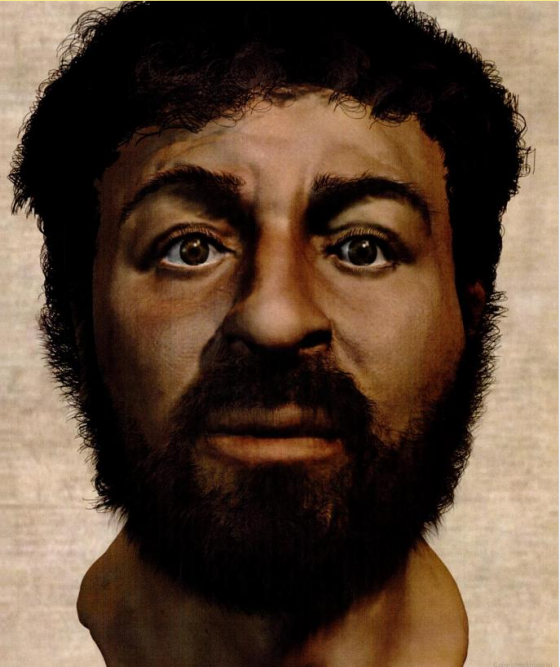 I am sorry but you are delusional; even the Ethiopians know what the real Jesus looked like. Religion was started in Africa. King Solomon, was black; why does the bible have all these African names for? Look that up! Even old maps of Africa once displayed the tribes of North West Africa as Juda but those maps got changed, for the obvious! All you have to do is research. I am curious where you are getting your information. The Bible is NOT based in Africa. Most of the events in the Bible take place in the nation of Israel, which is in Asia, not Africa. Granted, the patriarchs all went to Egypt a few times, the entire nation of Israel was there for 400 years, but they left Africa in Exodus 13 and never went back (as a group). Egypt is mentioned a few times, Cush (Ethiopia) is mentioned, as is Sheba, which is either in Ethiopia (Africa) or southern Arabia (Asia). Jesus spent some time in Egypt as a toddler, but after He moved to Nazareth, I’m pretty sure He never again left Asia before He died. Why does the Bible have African names? What is an African name? If you’ll forgive me, it sounds like you’ve been fed a load of something.